Nothing says Halloween like a strand of spooky cats. Since I much prefer bright and fun to spooky and creepy, this cat garland is a whole new take on the spooky black feral idea. It adds a festive vibe to any fall party or mantel display. Bright is the new black… Colorful is the new cat! 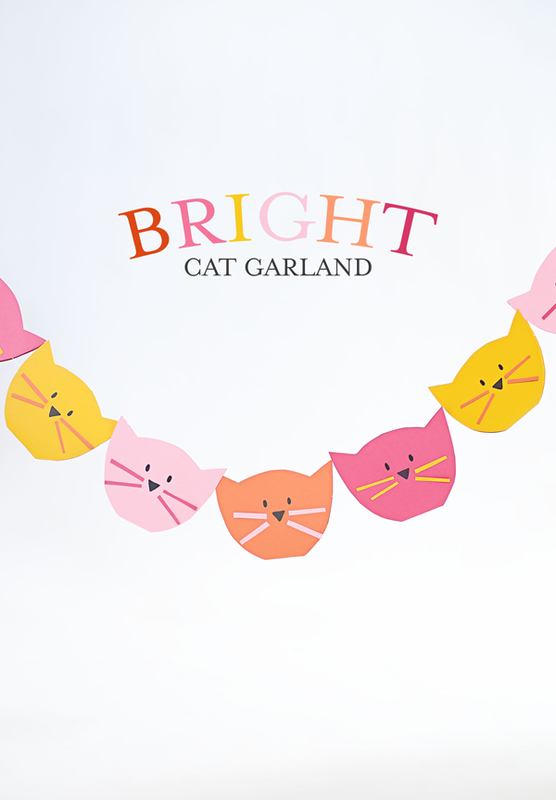 The cat garland can be whipped up quickly and is a stellar backdrop for a Halloween shindig. I have a strand hanging in the house and it brightens up the entire fall look of the place. Plus, the kids just adore it! 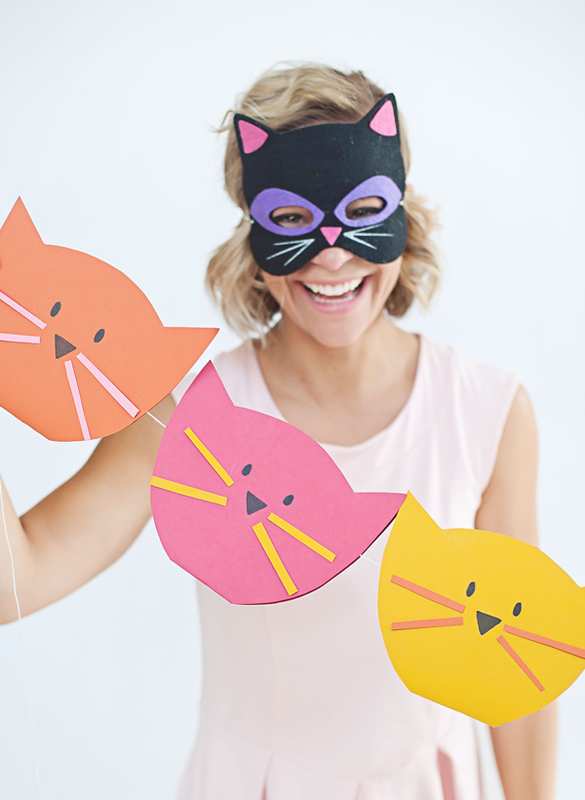 Include the them in the fun, designing the cat faces and bringing these festive felines to life. 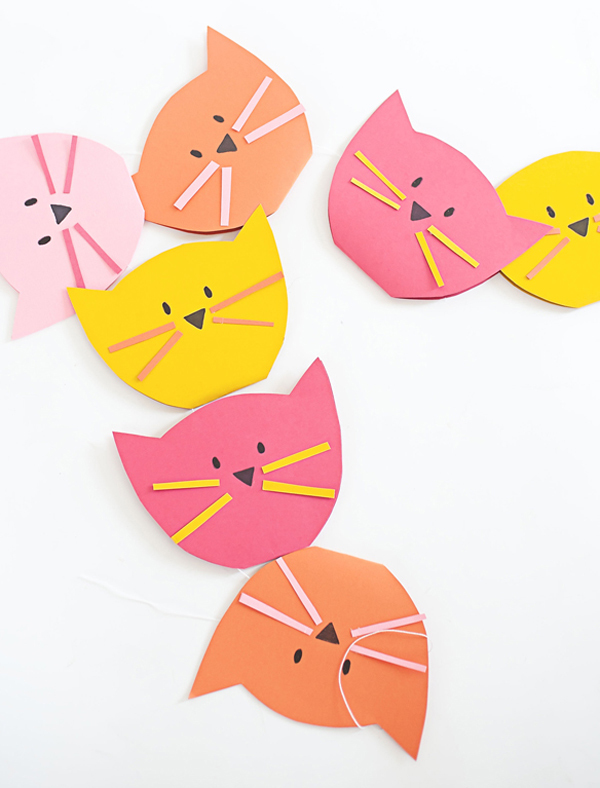 To make the cat garland you’ll need our cat face template (download the cat garland template right here). 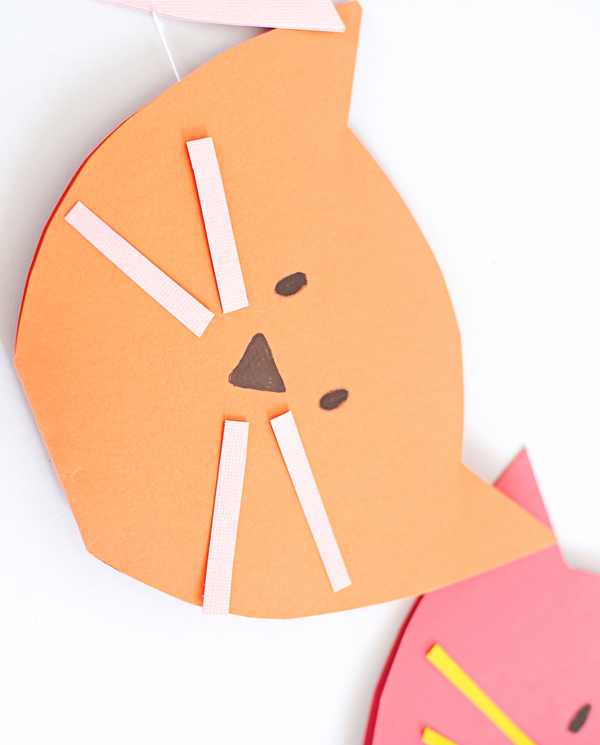 Trace it on a piece of bright card stock, cut the shape out and crease along the middle line. Take a small piece of the leftover paper and roll it into a circle and glue to hold in place. 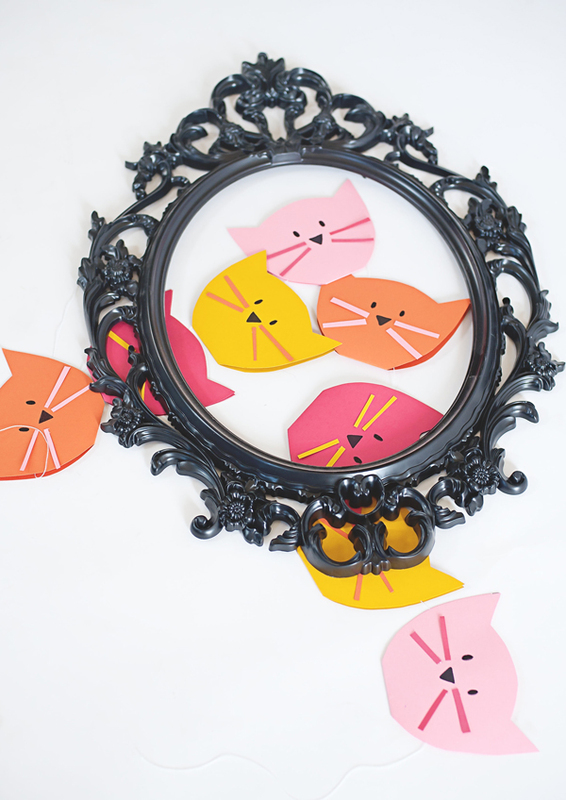 Next, glue the paper circle to the inside of the cat face and run a string through the center to combine the garland. This gives the cat heads a festive 3D appearance while making the stringing of the garland a cinch. Now it’s time to decorate the faces! We used a black marker to fill in the eyes and nose. 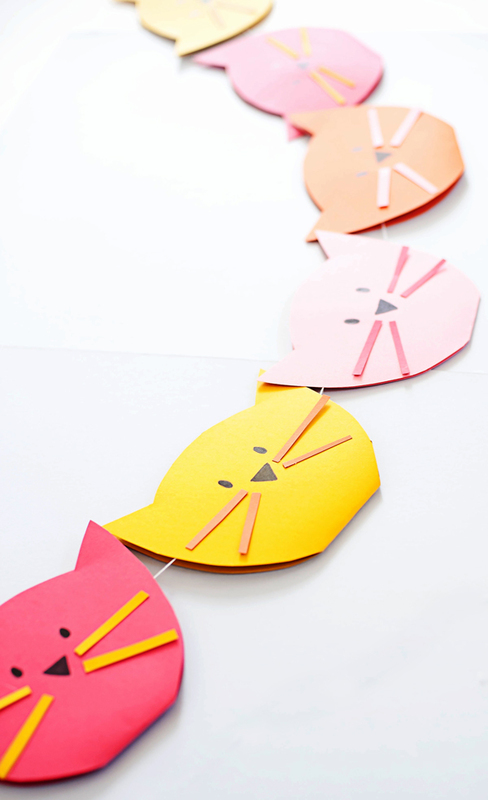 Cut small strips of the bright paper for the whiskers. 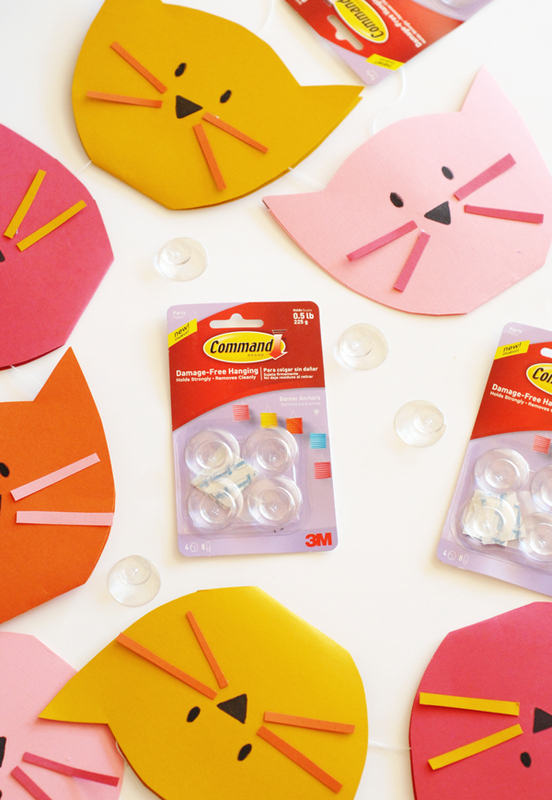 A little glue is all you need to create this bright, fun party look. To hang the cat garland, I used some of the new Command Brand hanging party products. They came out with a line of party decorating products specifically for us festive party throwers and it is so awesome. From balloon bunchers, to pom-pom ceiling hangers, to these killer banner hangers – the entire line is one I will be using often. 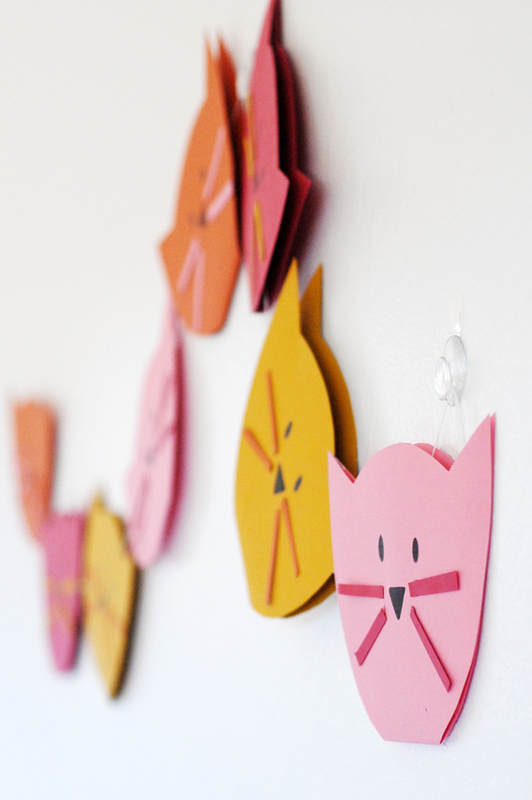 The hanging products can be used on walls for easy party decor and come off simply with no-damage! Making my decorating job so much easier. I was super skeptical myself, but this garland went up, hung perfectly, and came down the next day with a simple pull, leaving not as much as a smudged mark on the wall. I’m hooked (hooked, get it:)! 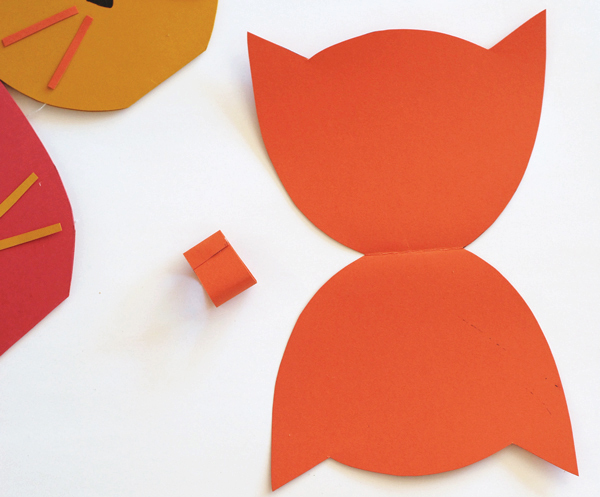 For more festive and bright Halloween projects, see our full Halloween DIY gallery. Command Party products can be found in the party aisle at your local Walmart. This post is done in promotional partnership with Command Brand. The product review and opinions are mine. 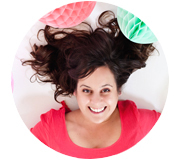 Thanks so much for supporting the site sponsors that keep me crafting daily. (Photography by Erin Holland for A Subtle Revelry). Pingback: Kattenfeestje? 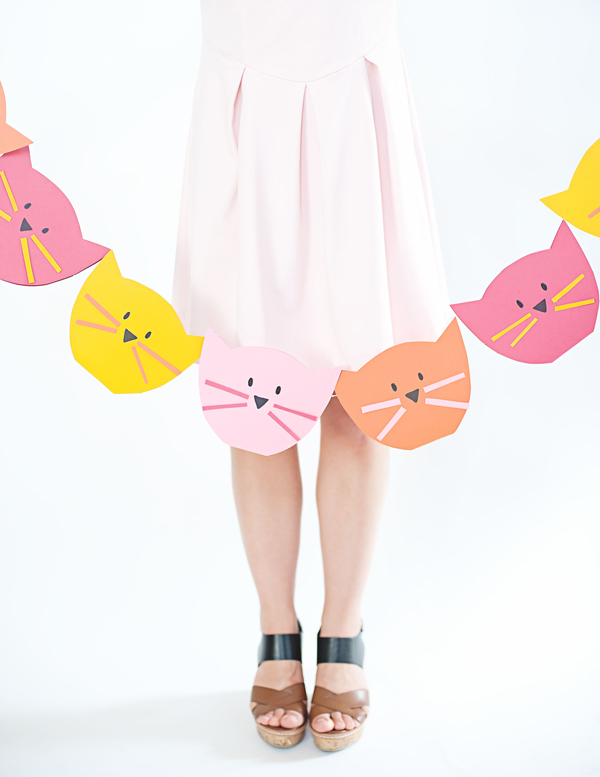 Met deze tips wordt jouw cat party purrr-fect! Pingback: Summer Camp at Home – Cat Week – What is Mom trying now!